Heard of eucalyptus? Imagine koala bears, its basically all what they eat. Its a very common plant and for a long time, its potency remained undiscovered. Curious as to what are those benefits? Then keep reading to find out how you can use this oil to make your hair care and overall health a lot better. This oil is extracted from the dried leaves of the eucalyptus tree. The leaves are steamed and distilled to extract the pure oil. It is colorless, woody and sweet scented. Today, the global eucalyptus oil supply is 5% from Australia and 95% from China. Although it now vastly grows in the coastal states of America. But China remains the biggest market supplier. Now that you know what it is, lets talk about the benefits of using this oil. You can use this for skin care and treatments. Add this to your hand carry first aid kit. You can apply this to treat burns, cuts, bruises, blisters and inset bites. The oil will prevent skin irritation and rashes. Use for other conditions like herpes, chicken pox and acne. For treating boils rashes and wounds. Mix this oil with any other essential oil, add some apple cider vinegar (all in equal amount). Use cotton to apply on the affected area. There are a lot of benefits for hair as well. This works both above and under the skin. Which is basically why you are still here. So lets not beat about the bush. Eucalyptus oil has compounds that increase blood flow. Dont worry it will not give you high blood pressure. The circulation will improve, delivering oxygen and nutrients faster to hair follicles. 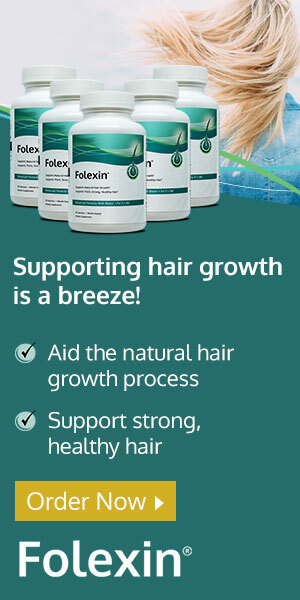 This keeps the follicles active and bombarded with essential minerals, needed to stay healthy. This stimulation overall improves hair health. The purpose is to spread blood evenly under the scalp to ensure equal and proper growth. Since the blood is supplying nutrients and oxygen, hair strands will become thicker and volume will increase. Dont use too much, it will make your hair greasy. Excess of anything is bad. Apply the required amount in your hair and leave on for 2 hours. Then wash with an herbal shampoo. This oil is a natural pesticide. It repels all or any bugs from both the tree itself and your hair. You can use it to treat lice infestations. It is a safer and better alternative compared to other chemical based shampoos that do a lot more harm than good. *You will need this for at least three washes so have a bit excess. Mix both oil and shampoo in the above mentioned proportion. Wet your hair and scalp, then apply this mix thoroughly on scalp and hair. Make sure you cover every part of your head. Wear a shower cap and leave in on for 10 minutes. Wash off properly and towel dry your hair. Comb all your hair in different directions gently to remove dead lice and eggs. Some of us are more prone to fungal and bacterial infections. By using this oil, you can stop all or any infections from accumulating on your scalp. In another scenario, such infections can cause irritation and itching. Excess scratching makes the skin sensitive. The more you scratch, the more you scrape the surface. This leads to cuts on skin and a lot of flaking. Mix few drops of eucalyptus and peppermint oil. Apply on the affected area. Do this regularly till the irritation goes away. The redness, swelling and bruising will go away thanks to the anti-inflammatory property.